Right now, 1.5 million New Yorkers – including one in four children – live in a food-insecure household. They struggle to put event the most basic of meals on the table. 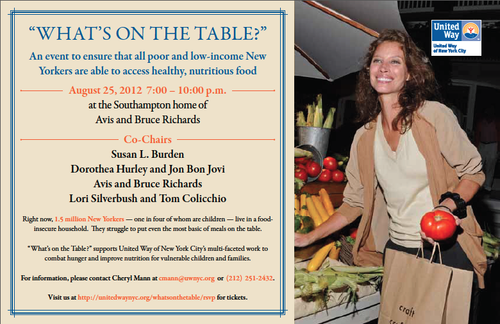 “What’s on the Table?” supports United Way of New York City’s multi-faceted work to combat hunger and improve nutrition for vulnerable children and families.